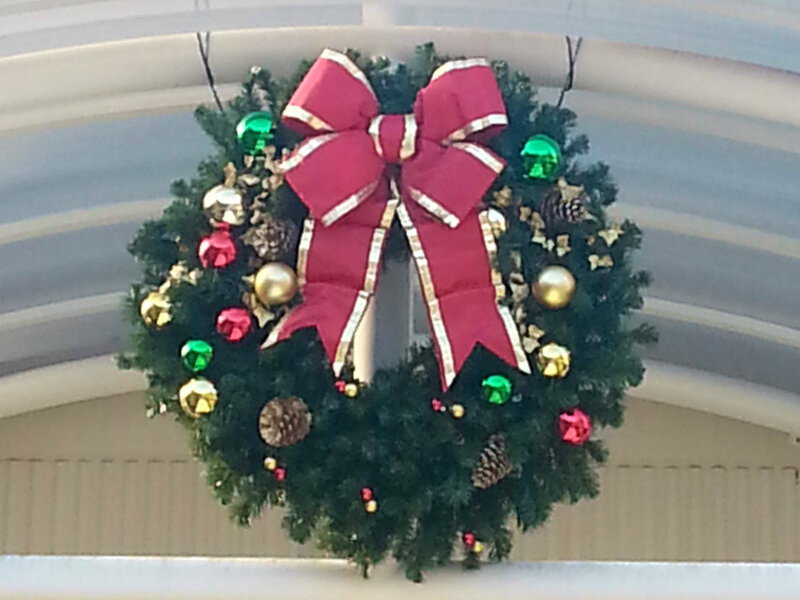 Wreaths of Distinction Inc. proudly serves as Holiday Décor Engineers for businesses, retail operations and communities in and around the Triangle. As a growing business, we devote time and attention to every client to make sure that their dreams are perfectly realized, on time and within budget. Throughout the year, we help companies communities and even living communities keep their spaces look nice and in the spirit of every season. Our busiest season is of course the Christmas season, but we can provide our customers with lighting and banners year-round. When a potential client reaches out to us, we take the time to meet with them and work together to develop a budget and a design. We encourage all of our customers to place their Winter holiday season orders as early as possible, as it allows us to get the best price and selection from our vendors. Once a plan and budget has been established, we will provide customers with a quote that will include our labor costs in addition to the decorations, installation and storage costs that have been agreed upon, so there are no surprise additional costs in the middle of your busiest season. If you would like to see first-hand how we do business, please contact us by phone at 919-847-4359 or by email at sales@wreathsofdistinction.com. We are proud to serve the Triangle and beyond in Raleigh, Wake Forest, Oxford, Franklinton, Louisburg, Zebulon, Knightdale, Wendell, Clayton, Garner, Fuquay-Varina, Holly Springs, Apex, Cary, Morrisville, Chapel Hill, Durham, Butner, as well as along the NC coast, and would love to add you to our list of satisfied clients. At Wreaths of Distinction, we pride ourselves on creating a partnership with all of our clients. If you are ready to begin that relationship, please give us a call at 919-847-4359, send us an email at sales@wreathsofdistinction.com, or fill out this contact form! No one decorates for the Christmas season like Wreaths of Distinction Inc. We are proud to supply trees, lights, garland, banners, and of course, wreaths to businesses, shopping centers, office parks and communities throughout the Research Triangle and surrounding areas. For many clients, decorating doesn't end at Christmas! 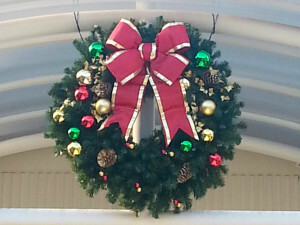 Wreaths of Distinction Inc. helps businesses, communities, property managers, shopping centers and neighborhoods year-round. We provide seasonal banners and specialty lighting for your building, trees and more! For your FREE consultation, or for any questions about the services can provide to you, please reach out to us via the following methods. We look forward to hearing from and working with you!